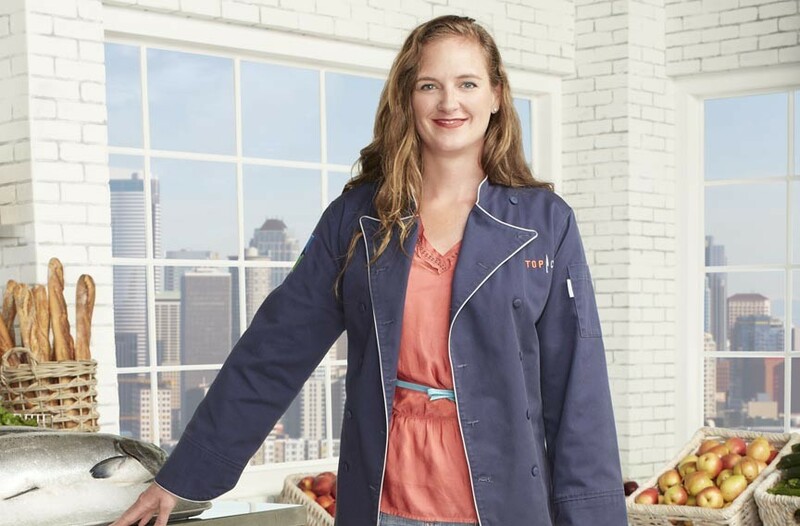 Collegiate Grad Takes on “Top Chef” | News and Features | Style Weekly - Richmond, VA local news, arts, and events. Eliza Gavin's food memories of Richmond are a kind of culinary time capsule: Ukrop's. The Frog and the Redneck. Ham biscuits everywhere. Dinners with her family at La Petite France. Birthday parties with her friends at Tobacco Company. "It seemed always so romantic to have a restaurant and to be part of making so many people happy that way," says Gavin, a 1992 graduate of Collegiate School. But the idea of that passion as profession didn't sink in until her senior year at the University of the South. The psychology major started cooking as a diversion and things grew from there. She headed for a job in New Orleans, cranking out classic Creole at Galatoire's, and eventually studying at the Cordon Bleu in Paris. Now she sharpens her knives for the Nov. 7 debut of "Top Chef: Seattle," the popular cooking competition on Bravo TV. She can't say much, not to mention there's a network publicist listening in, but the show seems to be everything she thought it would be. "It's an amazing experience, there's no question about it," she says. She most looked forward to the show's classic skills-relay challenge: "I love butchering." As for preparing to enter a bubble where written recipes are forbidden, she says, "I just tried to go over ingredients in my mind, and write down different ideas all the time — and just research, research, research." Collegiate gave her a good foundation to be competitive, she adds. As for how she'll be portrayed on television, she isn't concerned. "We're edited every day," she says. "You just got to live your life." For now, much of that life is consumed by her job as chef and owner of 221 South Oak Bistro in Telluride, Colo.
And lest the glamour of celebrity threatens to take her feet off the ground, she has to look no further than the cleanup session that faces her when she gets off the phone. A bear got into the Dumpster last night. Editors' note: In the print version of this story, we misspelled La Petite France.